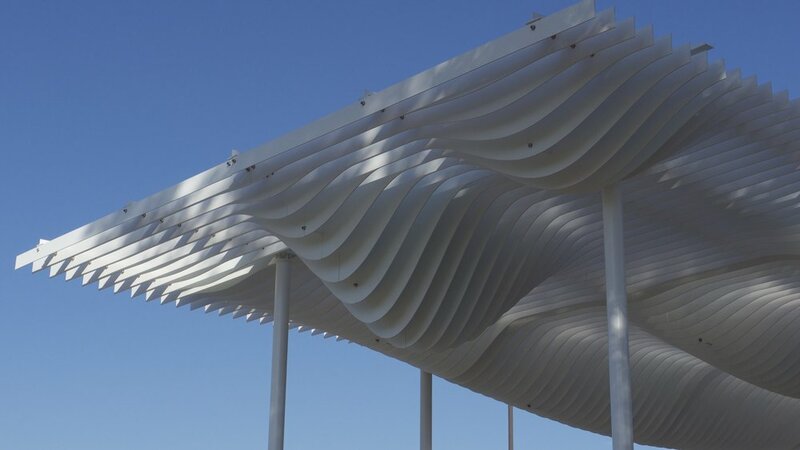 The Westmoreland Park Pavilion concept is based on a primary form of shading: cloud cover. 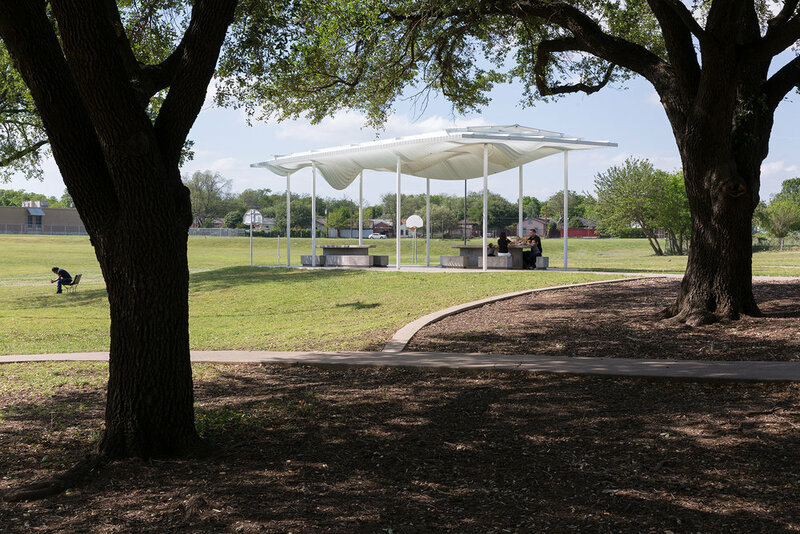 A welcome sight on a hot sunny day, cloud cover offers a range of diffuse and filtered light that changes throughout the day. 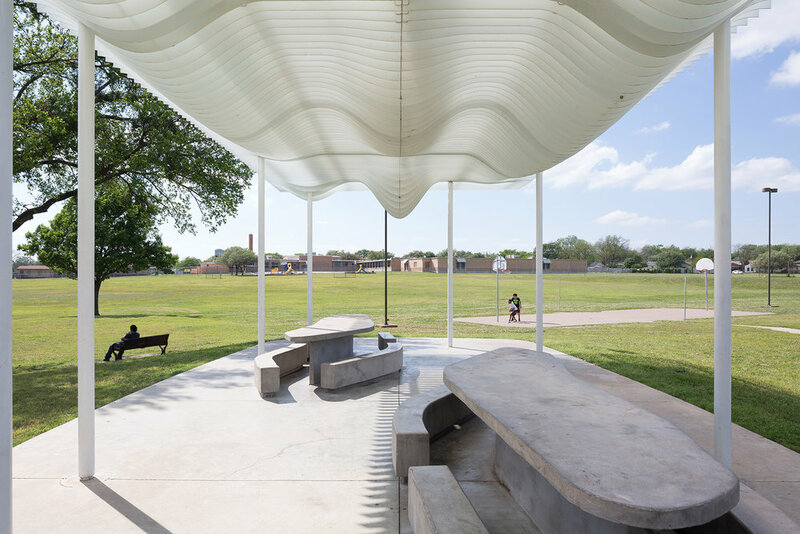 Like cloud formations, the pavilion appears striking against the blue Texas sky. 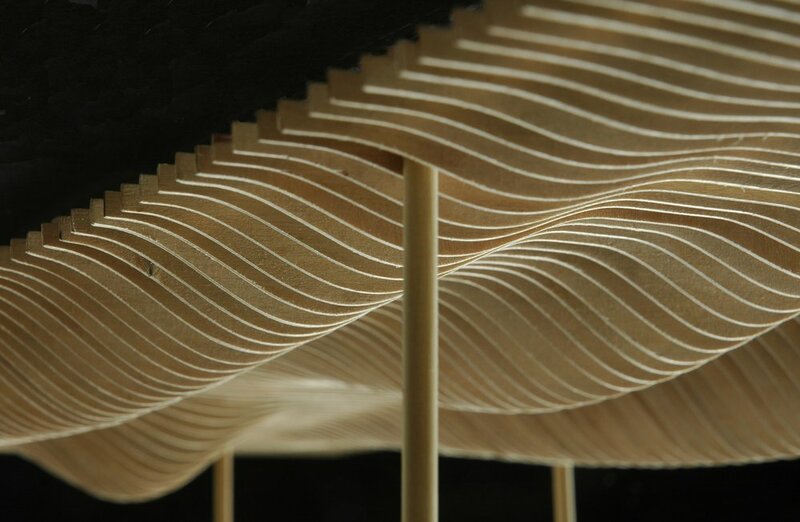 Playful shadow patterns cast across the surface of the ground changing throughout the day. 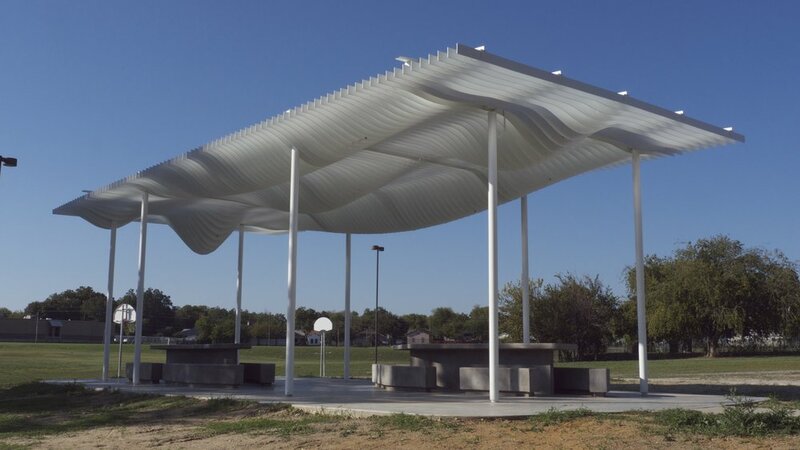 Profiled 3/16” steel louvers, powder coated white to give them a durable, high gloss finish, are hung 6” on-center from the underside of the structure. 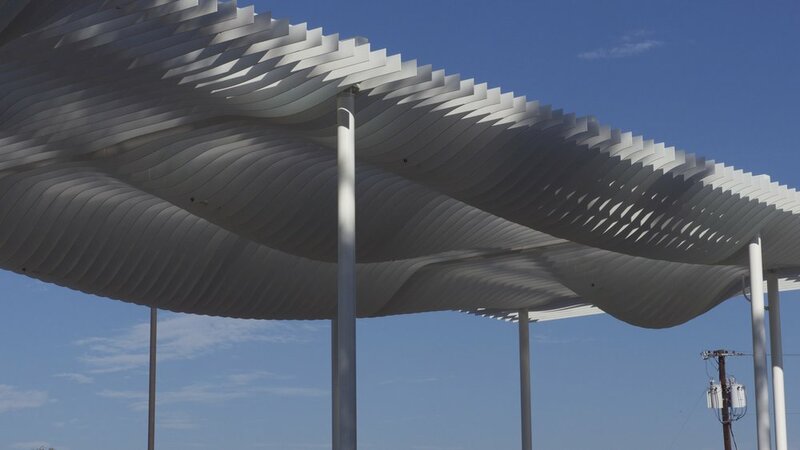 The steel structure mounted above the louver field is articulated in order to minimize its presence; frame elements are held back from the edge and taper in places so as to be less visible, and columns seemingly disappear into the undulating, floating canopy.